As SEBI fast-tracks its probe into NSE's high-frequency trading, Indias biggest stock exchange could face penalties, loss of revenue and loss of trust. 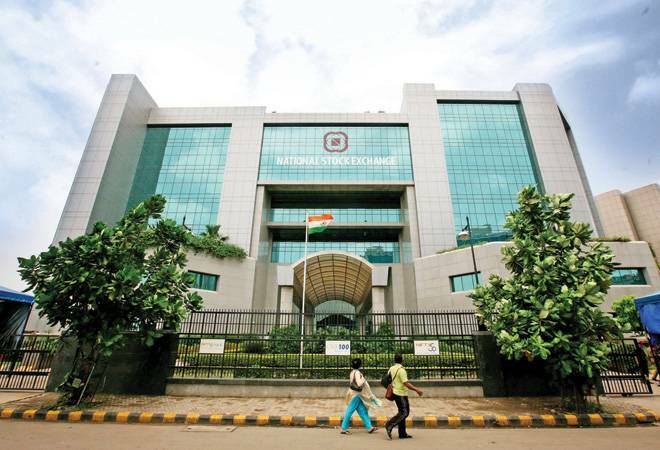 The National Stock Exchange (NSE) of India Ltd could be facing a forced transformation as the market regulator is pushing its ongoing probe into allegations that preferential access to market data was given to some high-frequency traders and brokers through its co-location facility. A few days ago, the Securities and Exchange Board of India (SEBI) said it had "issued a show-cause notice to NSE and 14 key management personnel" and appointed forensic auditors to help with the investigation. Such measures could lead to widespread damage as the NSE had stated in its initial public offering (IPO) prospectus. Even now, the reality is grim. The allegation of lapses in high-frequency trading (HFT) or algorithm trading (also called algo trading) has shaken up the country's largest stock exchange, resulting in two of the founder-members quitting the board within a span of six months. The NSE's non-executive Vice Chairman Ravi Narain, often credited with making the exchange one of the top bourses globally in the equity derivatives segment, resigned in early June while former Chief Executive and Managing Director Chitra Ramkrishna resigned last December citing personal reasons. They are also among the top executives under SEBI's scanner and have received the show-cause notice. The co-location service allows traders and brokers to put servers in the NSE facility and directly connect to its trading systems. HFT or algo trading is done by using high-speed computers and setting up parameters for automated buying and selling. Incidentally, NSE hosted 170 racks for brokerage servers in December 2014 (before the complaint came up), which went up to 269 by the end of March this year. Also 30 per cent of the NSE's revenue comes from this service, which has been going into an escrow account from September 2016, as directed by SEBI. In early 2015, SEBI initiated a probe into NSE's co-location incidents based on complaints that selected brokers were allegedly getting preferential access, especially through early login and 'dark fibre' that enable a split-second faster access to the data feed of the exchange. Such mechanism will help one fleece some money off everyone's trade, thus leading to huge gains. "30% Revenue earned by NSE from its co-location service"
High-speed trading is looked down upon globally, so much so that Craig Hodges, co-portfolio manager of the Hodges Funds, said in a CNBC interview, "Basically, I have more respect for a guy that takes a gun and robs a store. At least there's a risk with him." His comments followed a heated debate on CNBC between IEX's Brad Katsuyama and BATS Global Markets President William O'Brien over the premises of Michael Lewis's book Flash Boys in which Katsuyama is quoted as saying that the stock market is "rigged" due to high-speed trading. But has it been a trigger in the NSE incidents as well? Deloitte Touche Tohmatsu India, which was earlier commissioned by the NSE board (on directions from SEBI) to conduct a forensic audit, found that OPG Securities and a few others brokerages were given preferential treatment regarding IP allocations and early access to tick-by-tick data. As for the alleged involvement of some NSE employees, Deloitte said, "While there are indications of differential behaviour being shown towards few members by certain employees, we are not in a position to comment, on the basis of the review performed, on whether this would amount to collusion/connivance or just preferential behaviour." Deloitte, however, hinted at the possible direct involvement of some NSE personnel in handing out preferential treatment to some brokers, particularly OPG, and also named an employee, when it said, "It may be relevant to note that MTBT was introduced in April 2014 and Jagdish Joshi left NSE in May 2014, after which we have seen a decline in the number of first connects" (first-to-connect brokers who might have had preferential access). The auditor has also highlighted governance issues in preserving the trail in decision-making mechanism and in specifying standard operating procedures. NSE used the unicast technology till April 2014 for disseminating trade data. The procedure was simple as data was provided sequentially, allowing a couple of microseconds in-between. Understandably, it gave an advantage to those who logged in first. The scenario changed after the multicast technology was introduced in May 2014. The new technology is akin to broadcasting where every member will receive trade data packets simultaneously. So, was the selection of technology wrong in the first place? Apparently, not. "All leading international stock exchanges had been through the same process. In fact, several exchanges in advanced countries are still operating on the unicast system," says an NSE insider on condition of anonymity. SEBI's decision to ask the NSE to conduct a forensic audit into the incidents instead of undertaking the task itself (the market regulator now intends to do so) had drawn flak from several quarters, including the Ministry of Finance. It also raises questions on monitoring and technological prowess that SEBI should have to assess the infrastructure and activities of NSE. In the past, too, SEBI did not take many effective measures unless a shocking anomaly came to light. Take the case of mutual fund (MF) reforms, implemented after MF agents started amassing huge commissions by adopting policies that hurt customer interest. Customers were asked to shift their investments from old MF schemes to new fund offerings, where commissions were high. Again, overpricing of IPOs was addressed after their rampant occurrences. SEBI's handling of collective investment schemes (CIS) could, at best, be called 'haphazard' as CIS companies sprouted across the country even after CIS regulations were announced. As for the NSE case, SEBI should have started its inquiry earlier and brought the facts to light. The NSE-prompted audit was inadequate and had a very narrow scope. The regulatory probe into NSE's co-location facility has already taken a toll on its proposed IPO, which is supposed to be completed before the end of the current calendar year. Even its valuations have taken a beating in the recent months, according to market analysts. In a bid to expedite matters, the exchange is seeking a solution through the 'Consent' mechanism of SEBI, which allows settling pending proceedings without admission or denial of any wrongdoing in certain cases. However, the absence of a full-time CEO - in spite of NSE naming Vikram Limaye as its next CEO and MD in February - is not helping things. In all, the co-location episode has tarnished the reputation of NSE, which was known to be a "professional stock exchange, bereft of broker coterie".